If you are searching for the best Amish Furniture Manufacturers, there is only one name that is trusted most in this industry – Amish Originals Furniture. This is because we are a reputed store in Columbus, Ohio that offers an extensive line of well-built Amish furniture items. From the initiating process of converting timber to exclusive furniture to the final step of finishing and designing it well, our Amish families in Northeast Ohio manufacture all of them with due diligence. The main goal of these furniture makers is to create every single piece with high precision and to craft them according to the specific specifications of our customers. An extensive range of furniture items are offered through our well known Amish Furniture manufacturers. We offer our product catalog to clients so that it is easier for them to visualize how well a furniture piece will look after completion of the entire manufacturing process. By visiting our website, you can get a nice view of what all is being offered at our store and what kind of specifications you want in your final purchased item. You can even select a piece of furniture from our website and add it to your wish list. No matter what kind of furniture item is being purchased, you will benefit from the high quality and precision used with which our Amish furniture is made. 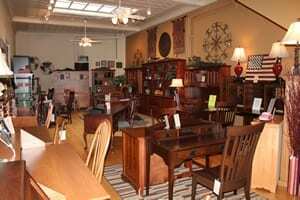 The best part about Amish furniture items obtainable through us is that they are completely hand crafted. They are prepared with high quality, American hardwood which makes them the best heirloom type furniture to cherish for a lifetime. Amish Furniture manufacturers utilize varieties of woods in order to craft these items. Cherry, Oak, Walnut, Hickory, Maple are some of the quality wood types which are being used by these manufacturers in order to create exclusive furniture items. If you decide to purchase Amish furniture from our store, then you will surely secure heirloom quality, valuable pieces of Amish furniture at honest and fair prices. Every piece of furniture designed by Amish furniture manufacturers is crafted with complete accuracy. From tables, to beds to all other furniture items, all of them are designed with complete elegance and precision. We have every piece of furniture you could want. For instance, people can shop for custom built armoires, curio cabinets, custom beds, dressers, gun cabinets, bookcases, dining room furniture, nightstands, bedroom furniture and more. All of these are crafted with high expertise so as to supply people with high quality items. All these great Amish furniture items can be obtained by you through the one and only leading Amish furniture manufacturer – Amish Originals Furniture. We are experts and therefore can provide high quality items to people at reasonable means. We are a family owned business that has been going strong since being established in 1992. So, if you want to secure the best items through our industry leading Amish furniture store in Columbus Ohio, visit our showroom today. You can also get a glimpse of our beautiful store and product offerings at www.amishoriginals.com. Don’t forget to sign up for our newsletter for the latest news and offerings.